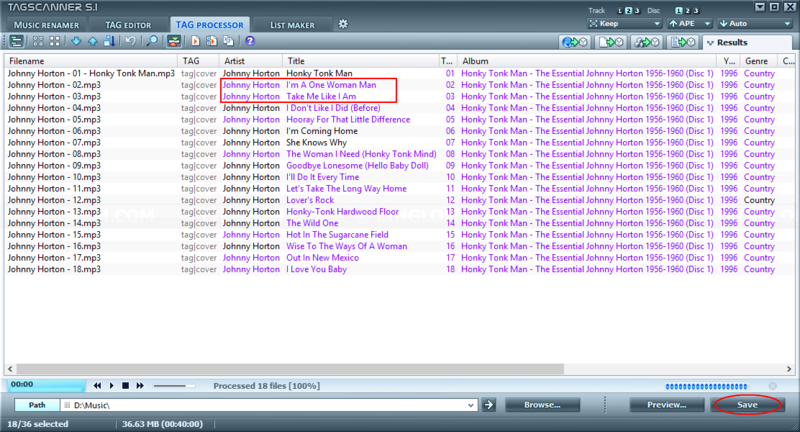 If you often listen to the music, you probably have many mp3 files in your computer. 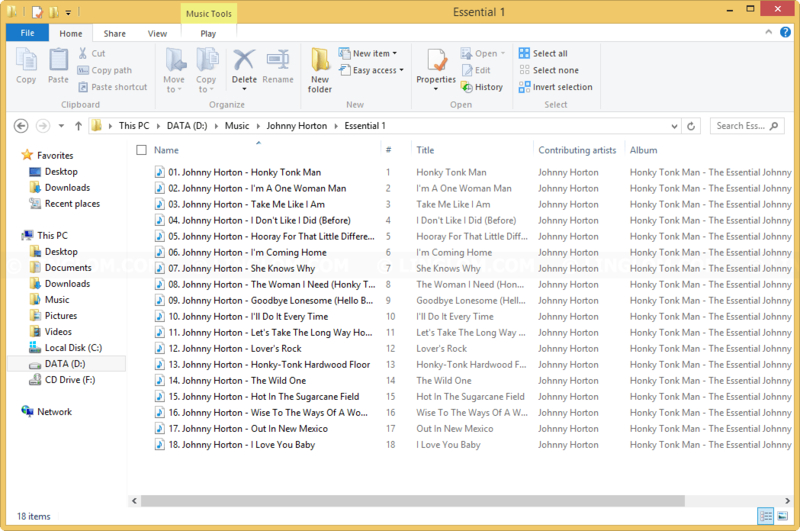 And mostly, there will be mp3 files that haven’t renamed properly. For example, you ripped an audio CD to mp3 files as track1.mp3, track2.mp3, or you want your mp3 file to be renamed in your own format. It would be time consuming to rename each file individually. 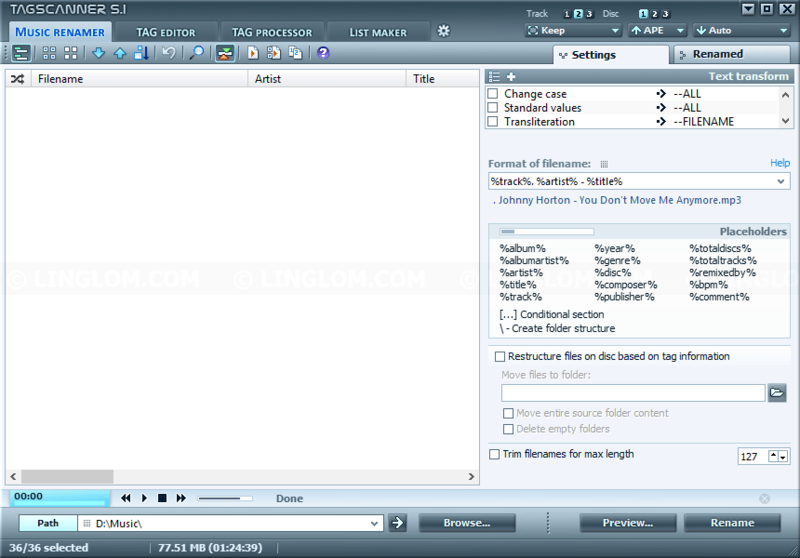 Usually, music files, such as mp3, ogg, flac, wma, have tags (ID3v1, ID3v2, etc.) to keep music information such as title, album, artist, year, etc. 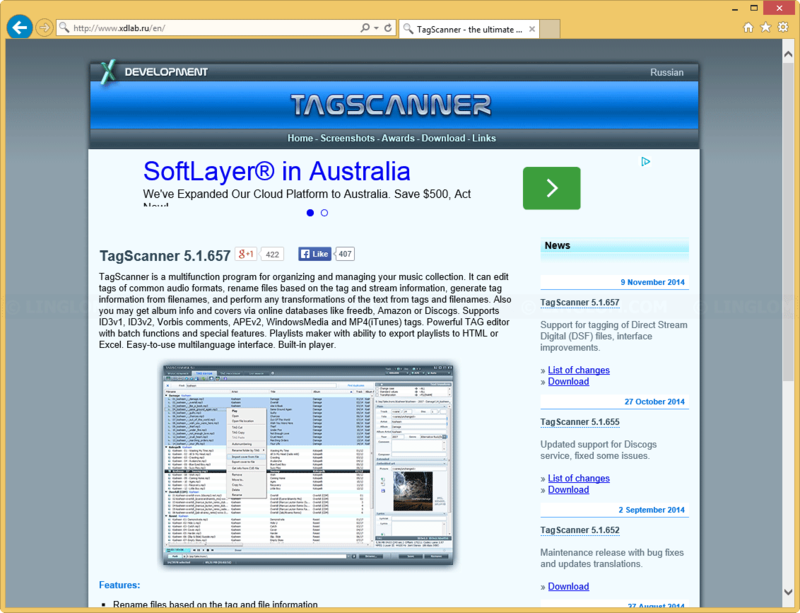 With TagScanner program, you can get tags of specific album from the Internet and then rename filenames as according to the tags. 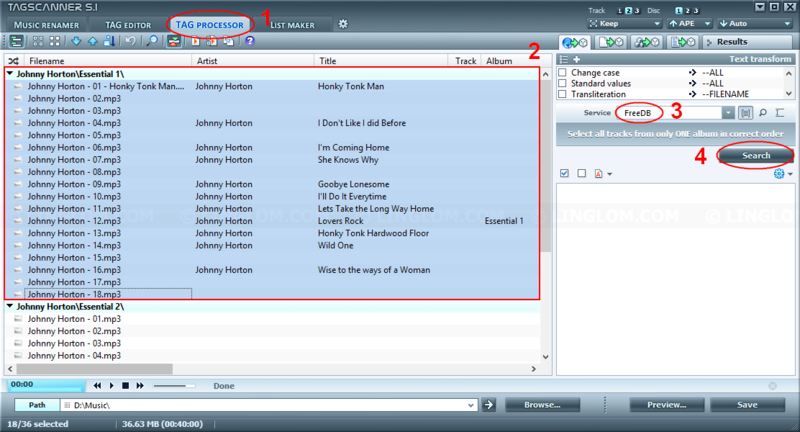 In this example, I will show you how to get ID3 tags from FreeDB (freedb.org), an free online music database service, and rename files using information from the ID3 tags on a album with TagScanner. This is the example album that will be renamed with TagScanner. 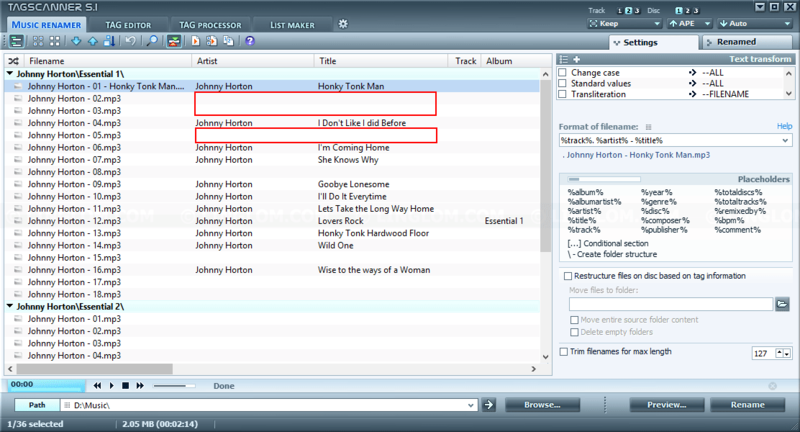 Notice that tags are missing on many songs and most files are missing title name (only artist name and track number are displayed). On download page, there are two versions, installer (exe) and portable (zip). The installer version requires you to install it on your computer before using it. On the contrary, the portable version doesn’t need to be install, you can extract the zip file and run the program. 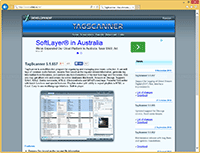 Run TagScanner. You will get screen as the figure below. You will see that there is some missing tag information on this sample album. 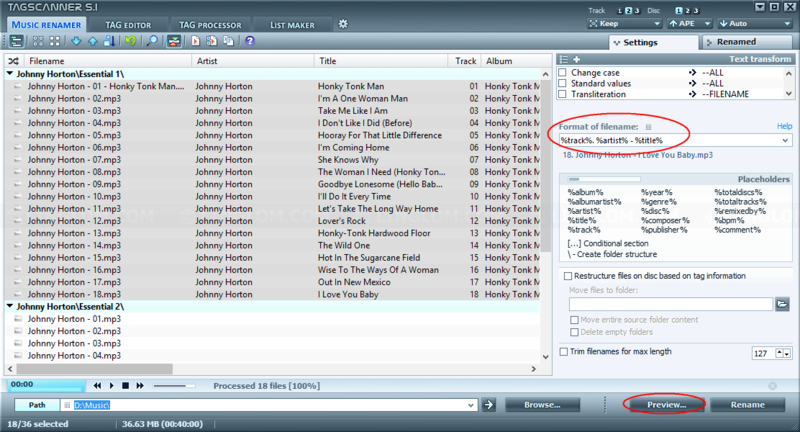 If your album already has correct and completed tag information, you can skip to Step 9 to rename mp3 files. Next, we need to get tag information from the Internet. Note: You can click on track1, hold Shift, and click the last track to select all tracks in the album. But be sure that it is listed in the correct order. The search returns an entry which is the correct album in this example. Click Preview to continue. Note: If the search return more than one entry, select the correct one to continue. The color (purple) text shows what tag information will be changed to the album. Click Save to continue. Now we have tag information for this album. We can rename filename from these tag information. 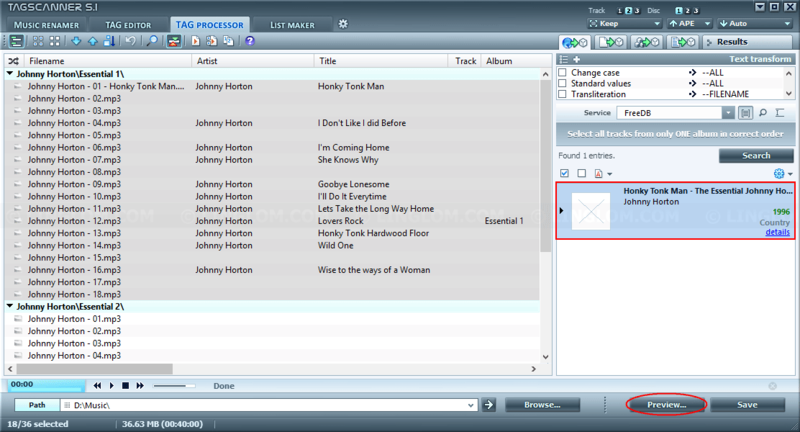 Click Music Renamer tab and change format for filename that you want. The default is “%track%. %artist% – %title%”. Then, click Preview to continue. 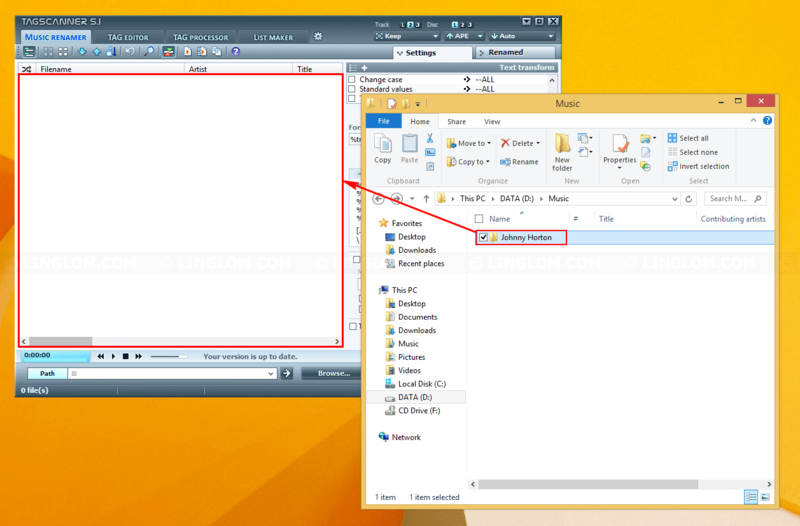 On Preview page, you will see the old filename on left column and the new filename on the right. If this is correct, click Rename to rename the files. That’s it. 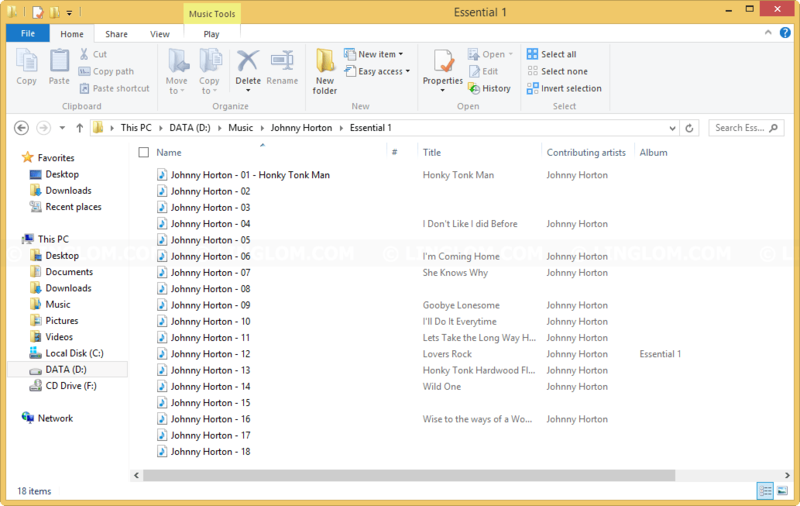 You can check filename of the album on Windows Explorer.